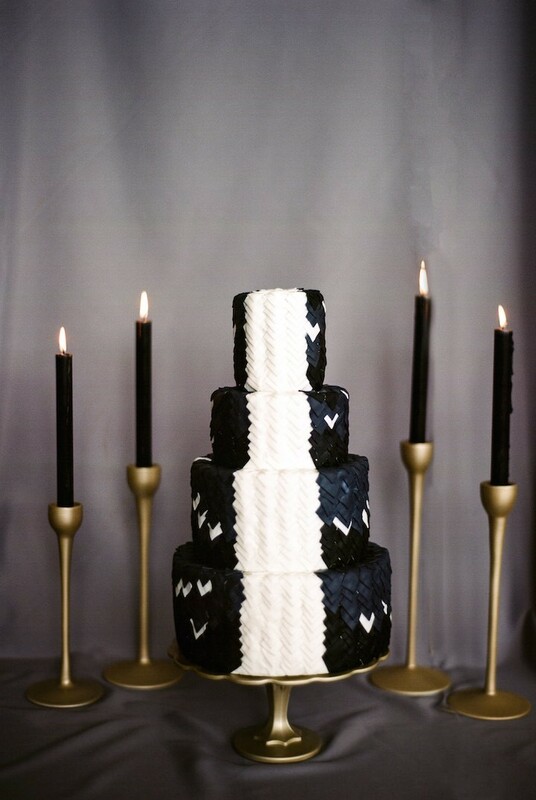 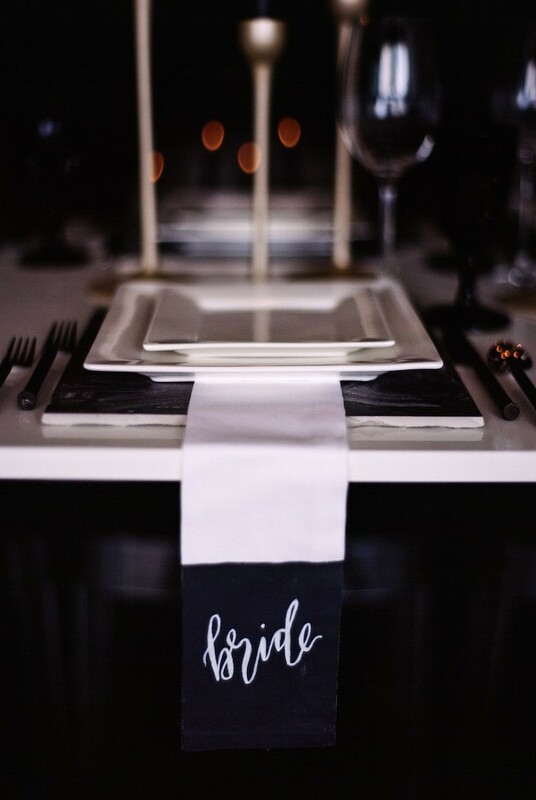 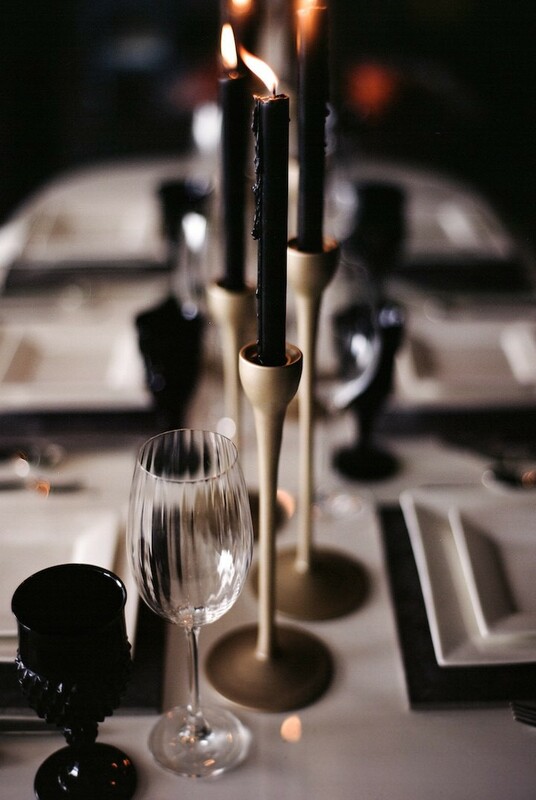 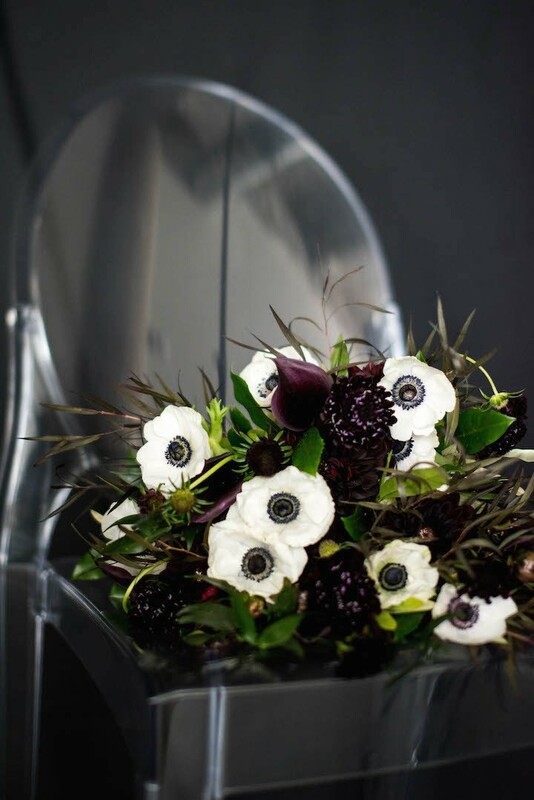 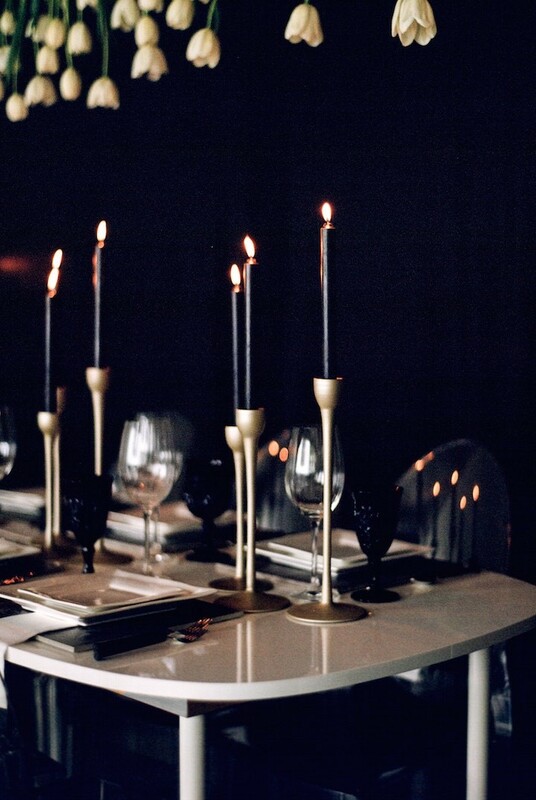 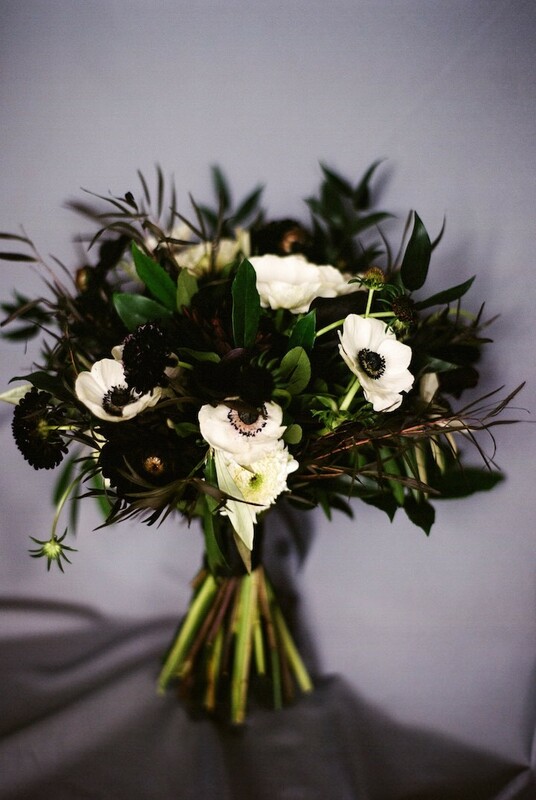 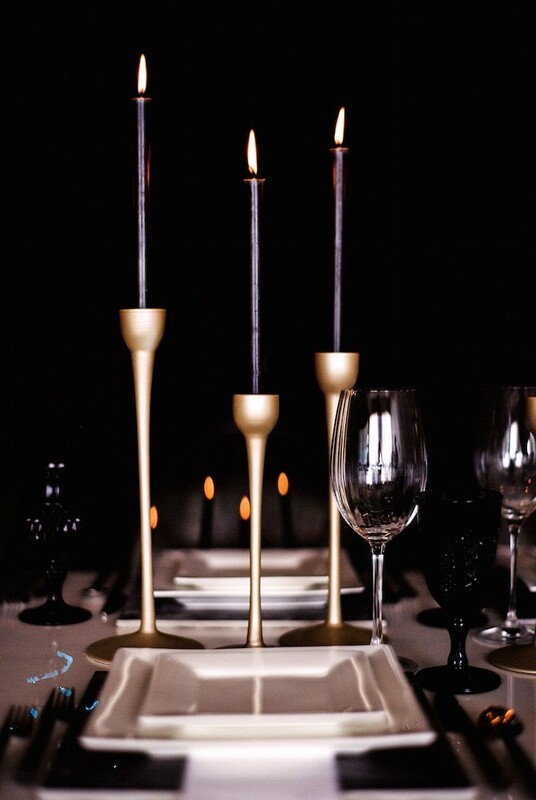 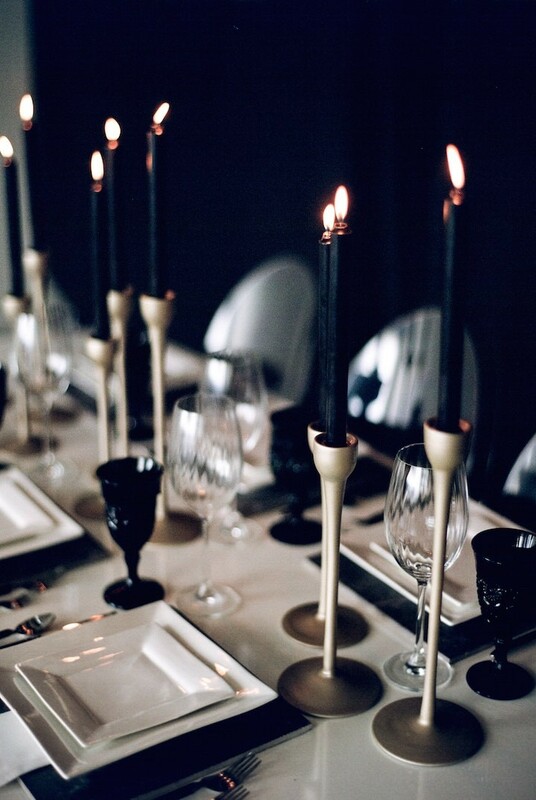 In this “Dark to Light” wedding inspiration shoot, you will be moved by the moody black and white decor. 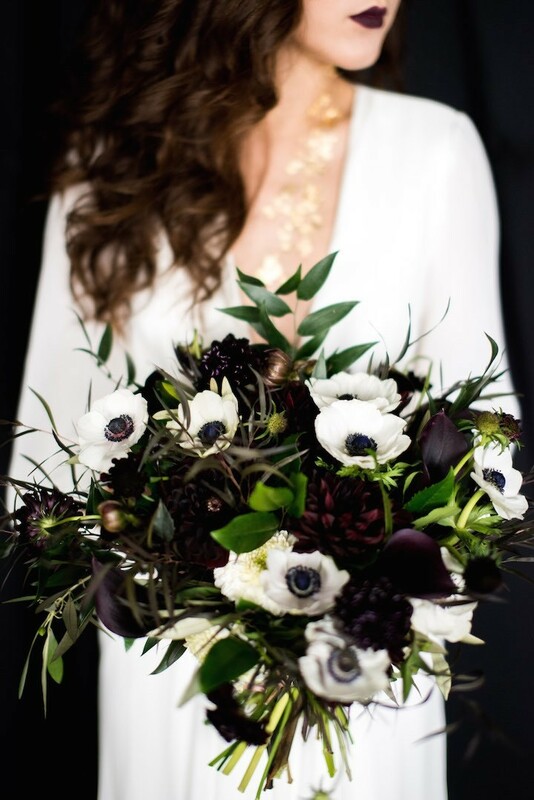 Dana Fernandez, Ashley Joseph from Two Be Wed and Flower Power Productions came together to create this dramatic wedding inspiration shoot. 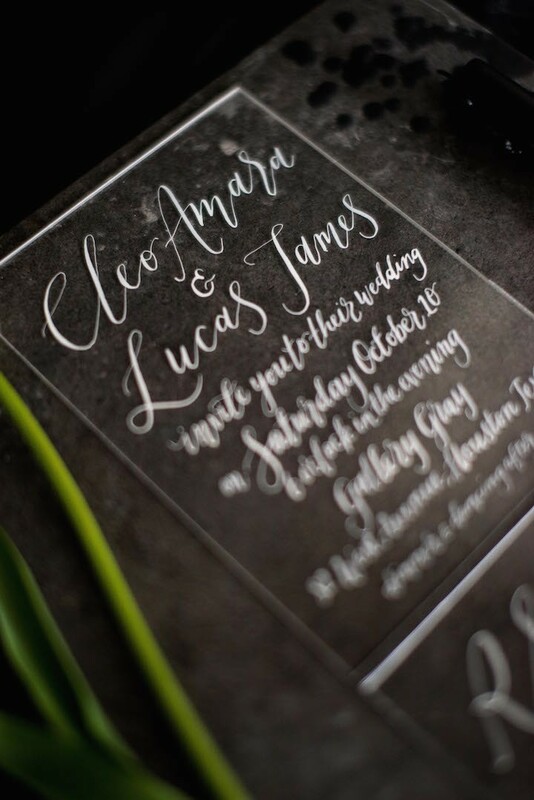 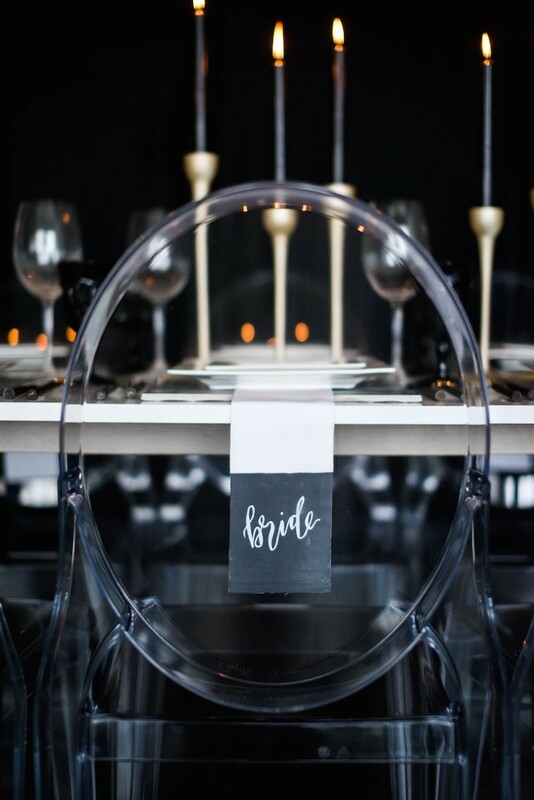 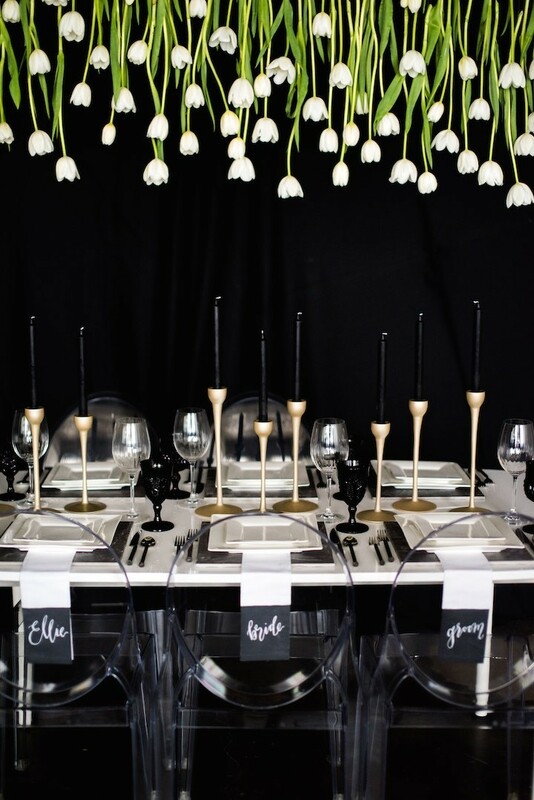 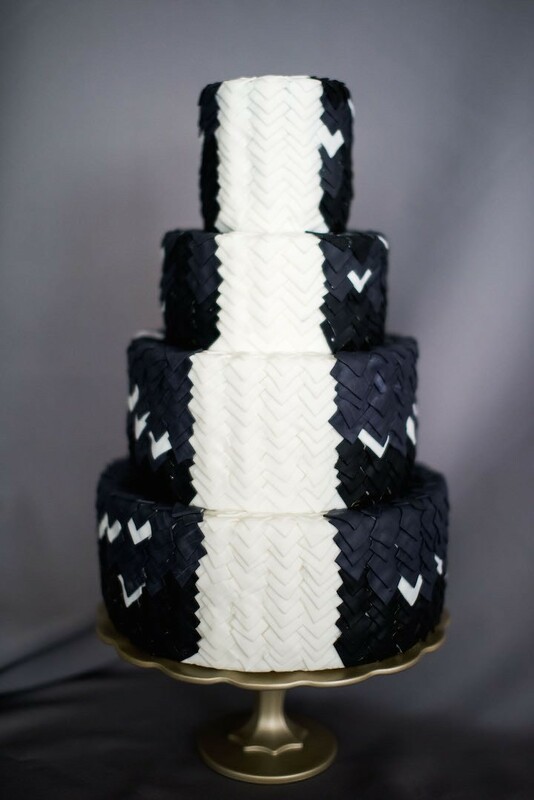 With the simplicity of black and white decor and accents of gold and green, it’s minimalism attracts the modern bride looking for simplistic wedding ideas with drama. 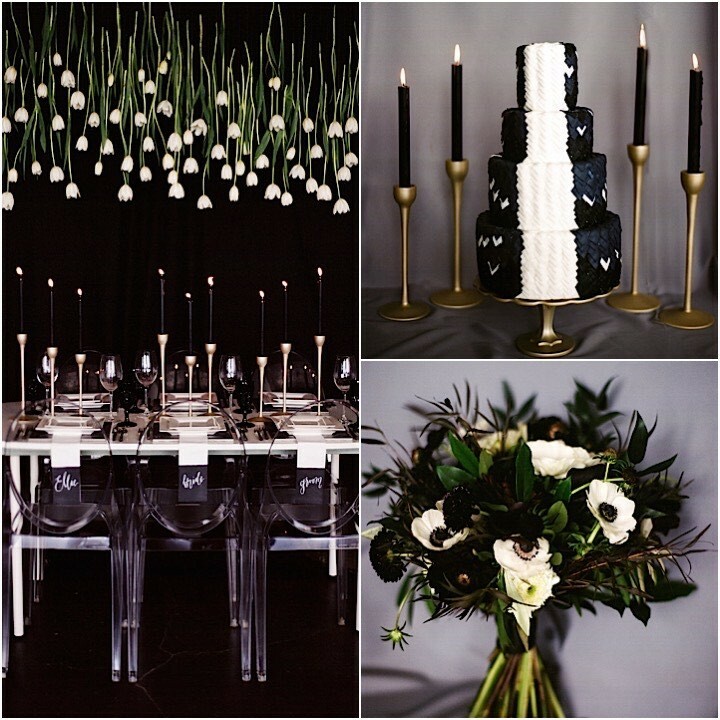 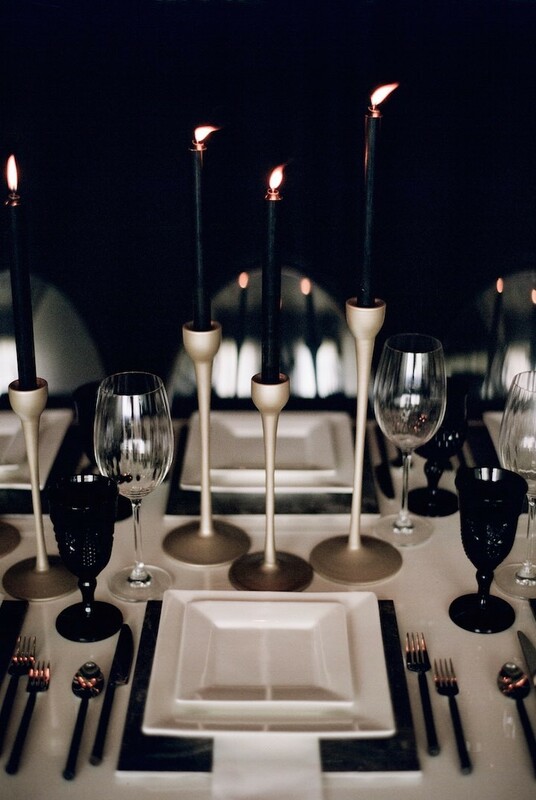 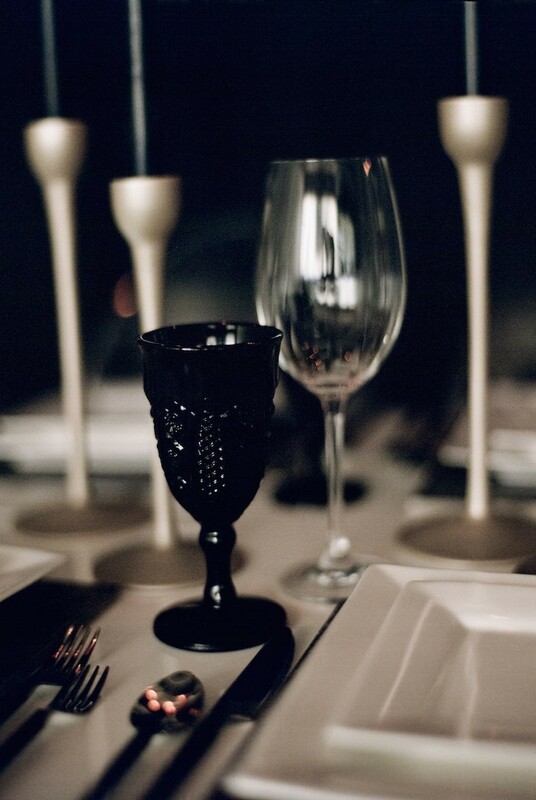 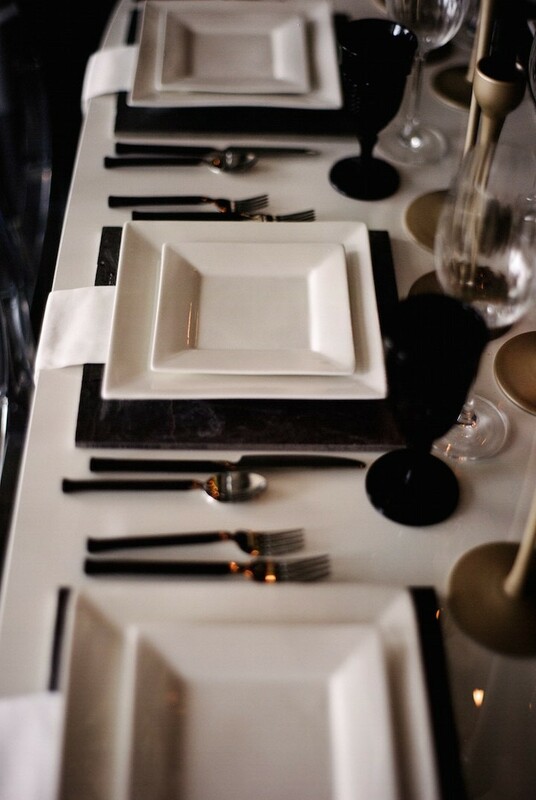 The black backdrop adds darkness to this shoot but also allows for the white decor to stand out. 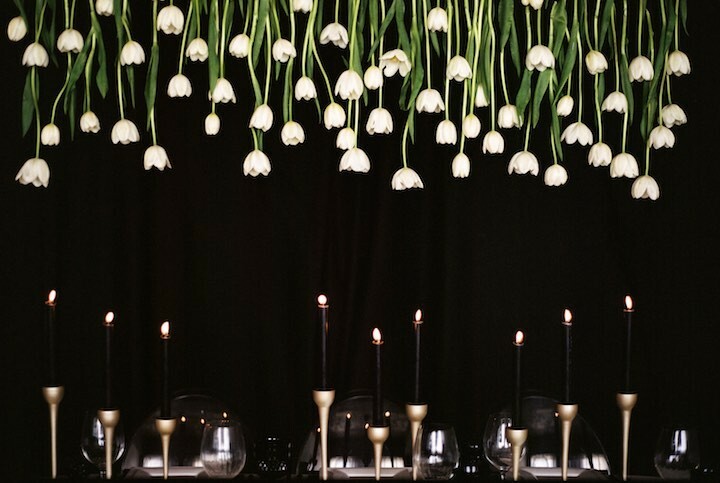 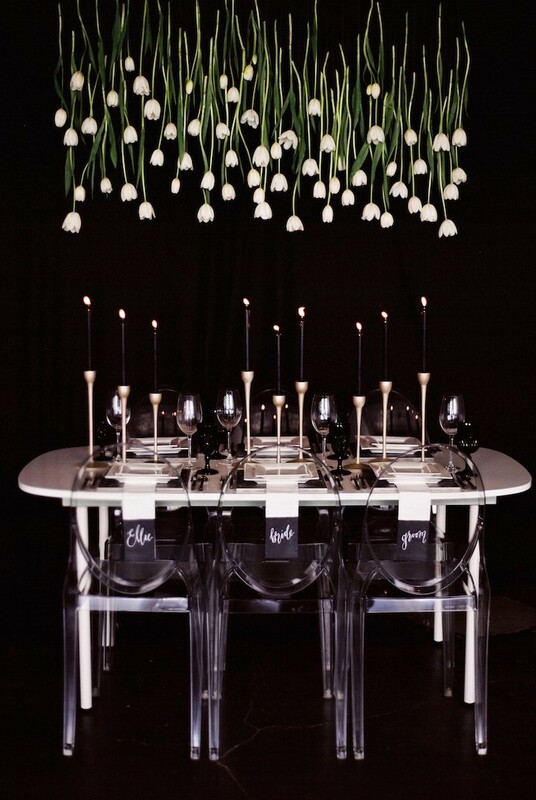 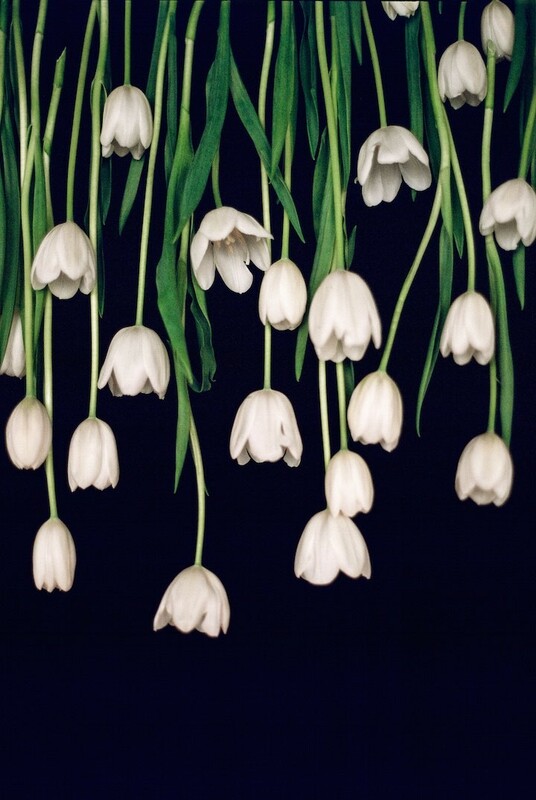 We’re obsessed with the way the hanging tulips act as a natural edison bulb effect! 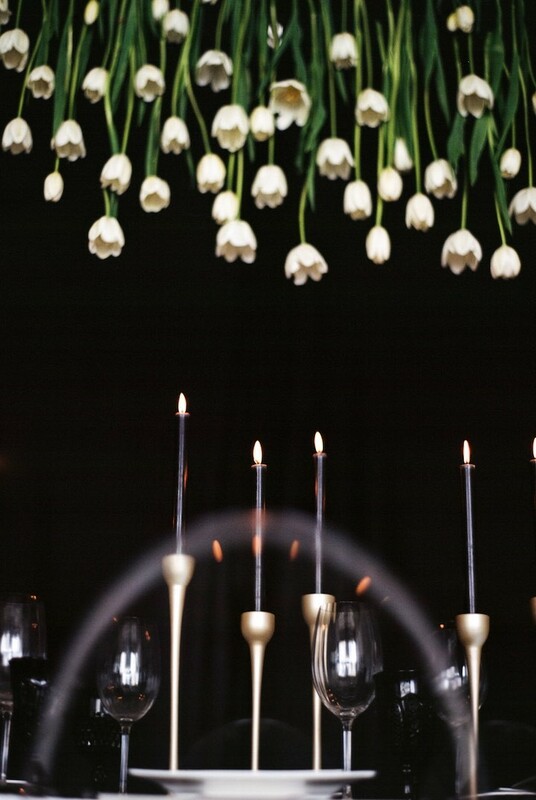 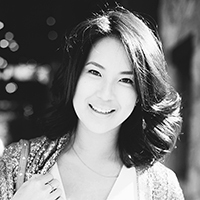 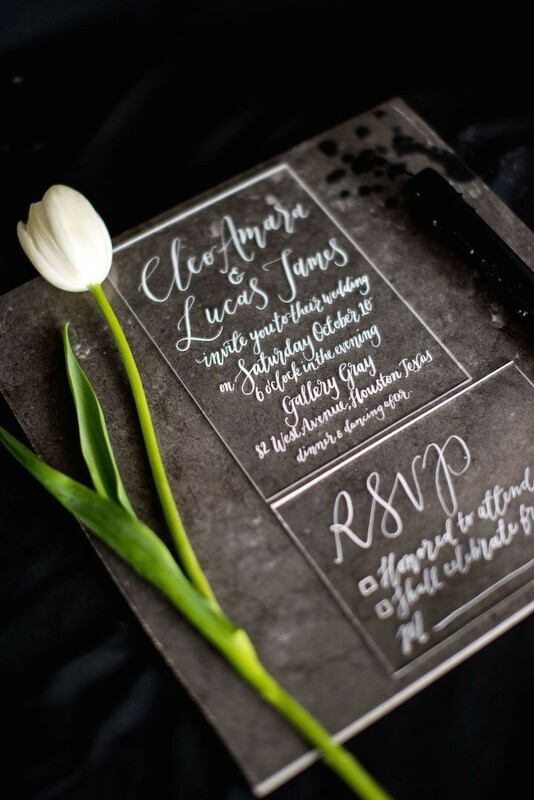 Continue to find inspiration through this wedding shoot — every detail is truly noteworthy.